Contrary to popular belief, heart disease isn’t one disease, but is a broad term used to refer to multiple heart-related issues, many of which can be lethal. According to Center for Disease Control and Prevention (CDC), heart disease is the leading cause of death both in men and women. More than 630,000 Americans die because of heart disease every single year. While many risk factors, such as age, ethnicity, and family history, can’t be controlled, making certain changes to improve your lifestyle can decrease the chances of a heart disease. Smoking cessation, eliminating or reducing alcohol intake, healthy diet, and regular exercise are some of the factors that can be helpful. Thanks to the latest technology, understanding heart disease risks, mitigating them, and even getting emergency help is easier than ever before. In this regard, heart disease smartphone apps can be handy as they can act as a convenient, monitor 24/7. Here’s a list of the best heart disease apps for monitoring your heart’s health and staying fit, just remember that these apps are not for medical use. This app is a patient favorite as it can help save precious lives. It’s a free app that alerts CPR-trained bystanders with the exact location and condition of the person having a cardiac event. It can also help find the nearest automated external defibrillator (AED). In case of a cardiac event, every passing minute decreases the chances of survival by 10%. This is where this handy app comes in and sends instant alerts, which could mean the difference between life and death for someone going through a cardiac event. Another fantastic free preventive and monitoring app for those at risk of heart disease. High blood pressure and high cholesterol are the key factors for heart disease, and nearly half the American population experiences at least one of these. Healthy Heart 2 monitors and keeps track of high blood pressure and high cholesterol, in addition to blood glucose and potassium. What’s more, it also monitors behavioral and environmental factors. If you have the best blood pressure monitor for home use, you will love this app because it can keep a complete record of your blood pressure history and save to online backup or share with your doctors and family members. The app also keeps you motivated to switch to a healthier and more active lifestyle and pulls in the latest article on heart health from the internet. This free app for Android and iPhone gives you continuous access to your heart’s health by monitoring your heart rate. It offers detailed analytics and lets you view your waveform and keep an eye on the heart rate trends with notes, tags, etc. Instant Heart Rate can connect to other apps by the vendor to give you a comprehensive view of your overall health. This is why it’s a favorite app among professional bodybuilders, gymnasts, and other athletes. You have to place your finger on the phone’s camera to let the app measure your pulse. It can also capture data from your smartwatch, which is even more convenient. You can view the data in the form of graph and also export it. Some premium features require a monthly subscription. 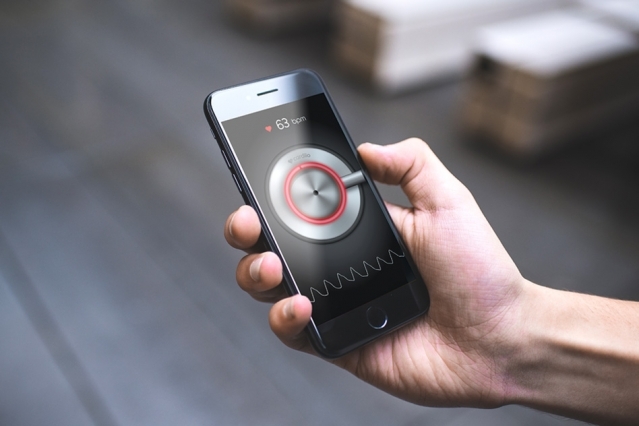 This simple yet smart app to measure your heart rate is designed by the tech specialists from two renowned education institutes, Harvard and MIT. The app comes in handy, no matter you just want to monitor your heart’s health or want to stay in shape by doing different workouts. It can capture tiny changes in light from either your face or finger to calculate your heart rate and alert of any possible mishap. The app costs $2.99. Introduced by the Heart Foundation, this is an app unlike anything else on this list. Instead of monitoring your heart rate or tracking blood pressure, it helps you plan healthy and balanced meal plans for a healthy heart. It suggests what type of foods to add to your diet for better heart health. It can tailor the meal plan according to your health goals, no matter you’re trying to lose weight, lower blood glucose, or just want to eat healthy.